If there was one word that most of us would use to characterize the quality of modern life, it would most likely be chaotic. We’re constantly running from one point to another, and then on to another one, struggling to cram more and more into a day that doesn’t actually ever get any longer. It’s a real battle, and it can leave you feeling drained and at odds with the world, and even with yourself. 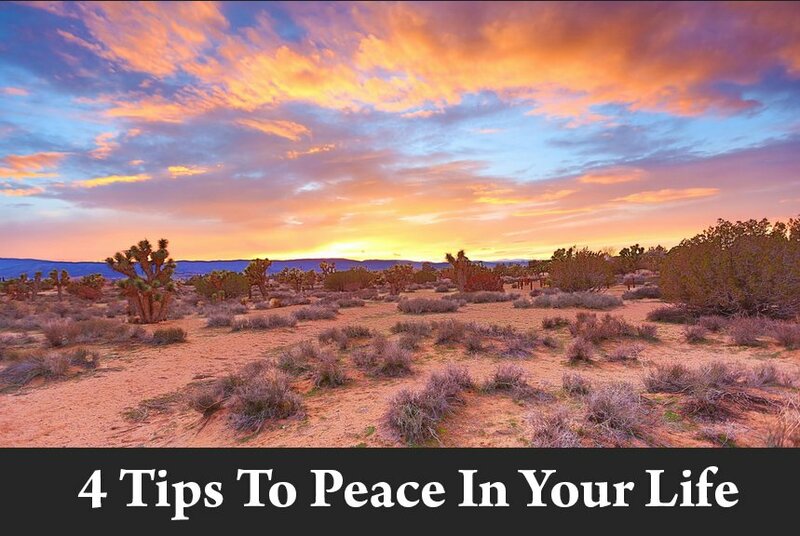 Thankfully, there are some simple tips that you can follow to create more peace in your life. One of the most important things to do to ensure peace in your life is to learn how to say no. That applies to both people and situations. Set limits on what you’re willing to add to your day and to your life, and do the same thing for your family. Identify the most important activities, and the ruthlessly cut out those that aren’t as important. You might be surprised at how much you can eliminate from your life with this one simple step. Take it beyond activities or interactions or chores, though. It should go as far as your personal computer time with things like Facebook and Twitter. It’s important that you slow down. Don’t try to do so much in a day. Take your time and actually enjoy yourself. Remember that life is not the big things – it’s what happens between those momentous occasions. Right now, right here – this is life. Living isn’t about the struggle to make money or to pay bills. It’s also not about planning the perfect vacation, or ensuring that your kids get into the right school. It’s about being here, in the now, always. It’s about being involved outside yourself and inside yourself. It’s about purposefully exploring and experiencing every single moment that you have. Hit the brakes and slow things down so that you can live. There’s a lot to be said for living more simply and getting rid of all the things that control your life. You might think that you actually need all the “stuff”, but you don’t. In the end, it’s just clutter. Moreover, it’s clutter that controls you. Think about it – how often do you check your smartphone just in case there’s an email or a notification and you didn’t realize it? How often do you check the charge on your other portable devices? How frequently do you think about all the gadgets that you use daily? This is control – your “stuff” is controlling you. Cut down on the number of things you own and you’ll begin to retake control of your life. For most of us, nature is something that needs to be overcome, not embraced. Whether it’s your allergies or the yard work, most of us tend to ignore the natural world around us, as though we weren’t part of it. Get out there and reconnect with Mother Nature. You don’t need to go on a week-long camping trip – a simple hike will suffice. Go to a park and just sit under the spreading branches of a massive oak, or spread a blanket on the grass and feel the warm sunshine on your skin. Reconnecting with the world in which we live can bring a deep sense of peace and “interconnectedness”. These are just a few of the many ways available to help foster a deep and lasting sense of peace in your life. There’s no need to be frazzled and weary – tranquility can be yours. This entry was posted in articles, Spirituality. Bookmark the permalink.